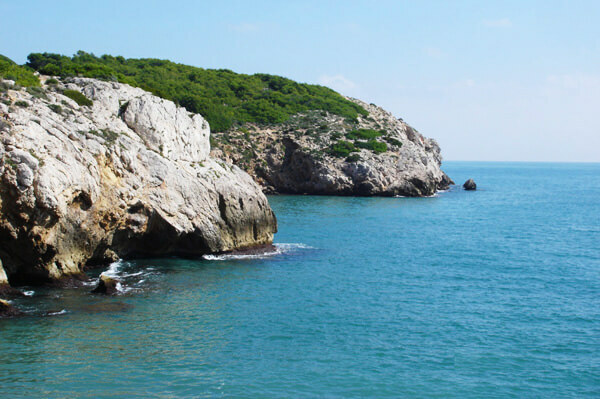 The activity will be placed in Vilanova i la Geltrú (Natural Park of Garraf – lies only 30km to the south-west of Barcelona, but despite this proximity, it is remarkable how bleak and wild the landscape feels, and this experience will be consisting in a whole day of exploring this beautiful scenery. 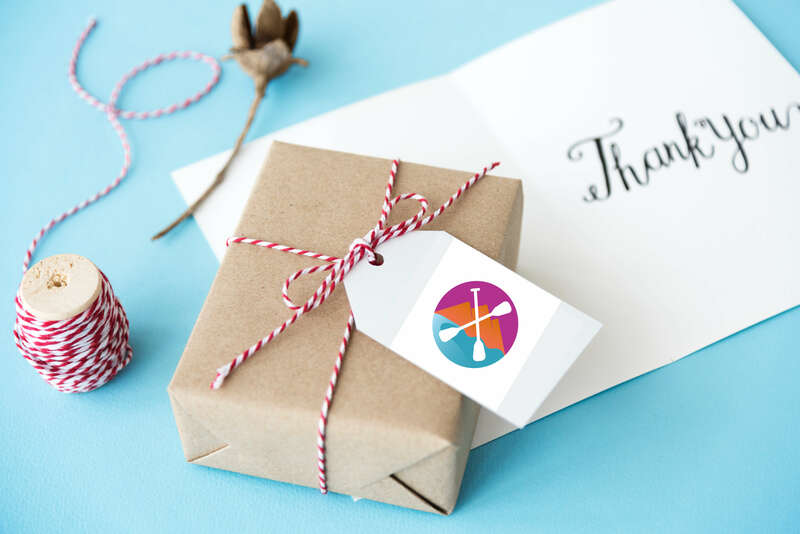 This activity is for people that have already experience paddling on a sit-in-kayak. 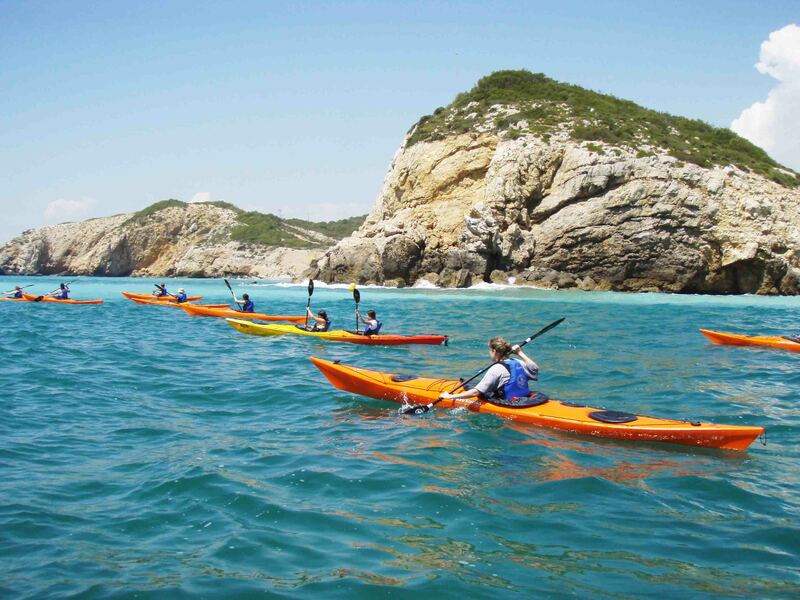 The day starts at the PaddleinSpain Centre Group – we will meet in Vilanova i la Geltrú but we will be starting this tour from the beach of Garraf (in Garraf town) and we will be ending on the beach of Ribes Roges in Vilanova i la Geltrú. 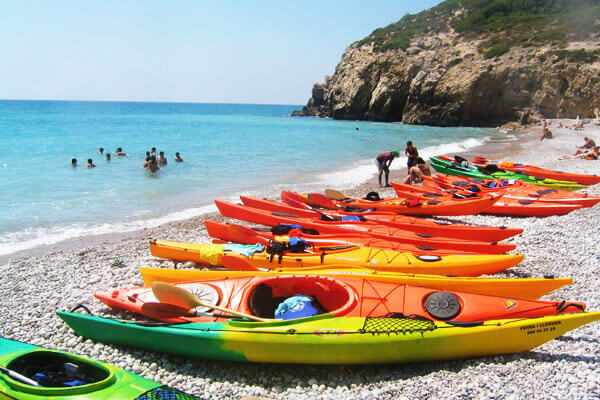 You will receive your equipment, for this activity we will use a sea kayak expedition, meet your instructor the one will be accompanying you all the time in tour. Get ready to enjoying the environment. Sitges, beaches and we will see the nice Cathedral from the sea. We will have a little break into a nice small beach to have our picnic lunch. On this trip we will paddle around 10.56milles (17km) distance in a 6 hours approx in total. To do this expediton it is necessary to have previous experience . Recommend to bring: swimming suit, towel, t-shirt or lycra, sun’s lotion, backpack to leave your personal belongings.